Every writer that we employ beats the promises of other essay writing services, especially because our clients pay for the paper only when they see it and approve it. Essay Jedi, an online essay writing service, recently announced the launch of its new website. The site, essayjedi.com, offers students the opportunity to hire writers to compose essays, stories, papers, bibliographies, and more. The writing services provided by Essay Jedi start at $7.50 per page. Essay Jedi functions by using a unique freelancing pricing model: students can create a task that other writers can start bidding on. To begin use Essay Jedi, a student only needs to provide detailed information about their assignment. In the initial order form, Essay Jedi asks each customer to specify the type of paper, subject area, topic, length, and deadline. After submitting the request, the client can see which writers bid on the project. Clicking on a writer’s name allows the student to see his ratings, customer feedback, and work samples. After choosing an essay writer, the student can begin communicating with them directly using Essay Jedi’s chat feature. The student and writer work closely during the writing process: customers can watch their writer work live, pay for the parts of the paper that are already finished, and rate the writer when the order is finished. Essay Jedi is currently hiring freelance writers. Signing up for the job is simple: writers only need to create an account and fill out a profile. After taking a simple test, writers can begin to earn money. Essay Jedi pays its writers twice monthly through PayPal. Individuals interested in learning more about Essay Jedi and its services can visit the essay writing service’s website for more information. Essay Jedi is a service where students can get help with any assignment, including term, thesis, and dissertation papers; book, article, and movie reviews; argumentative essays; case studies; and business plans. The service connects writers and clients using a bidding model. 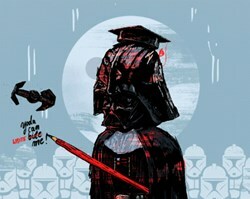 Essay Jedi also offers opportunities for freelance writers to find work. For more information, please visit http://essayjedi.com.